Ever thought about weighing in your emotions first before checking Places To Holiday This New Year? Please allow me to explain. The kind of personality you are and the emotions you keep flitting into affects your life every day, even on a holiday. Your instinctive decisions are based on the emotions you exhibit, so why not take them into account before you set off on a holiday? Make sure to check on which mood you wish to fit in for this time of the Holiday season. Lively, Feisty, Content, Valiant, Cool or Royal. You pick the mood and match it to the suggestions given for planning this New Year’s unique celebration. Try this venue if you are in the mood to have a LIVELY party. Imagine this… a sultry evening by the beach, swaying coconut trees, swirling sands and a moonlit night filled with stars while you toast the arrival of a New year. You can make this a reality if you happen to stay near a beachfront during the New Year holidays. 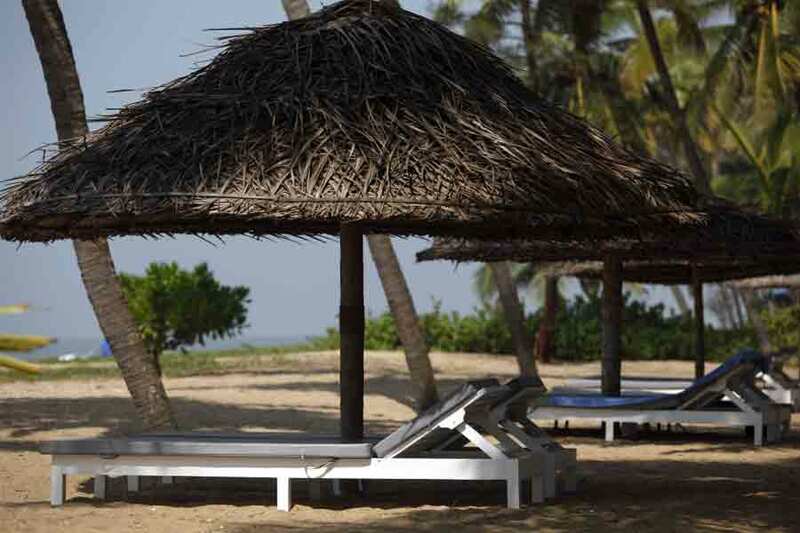 This offbeat BeachResort in Nileshwar, Kerala is just awesome! This is an ethnic resort where everything from furnishing to decor reflects the culture and heritage of Kerala! One of the biggest takeaways of visiting a resort by the sea is the fresh sea fare that one gets to sample. The multi-cuisine restaurant offers excellent fish cuisine and a widespread ethnic food that one can sample and savor. One can’t really visit Kerala and not enjoy a soothing body massage! Having a world-class spa within the resort is quite handy, as you could schedule an invigorating massage the day after the New Year party! Luxuriously ethnic, good food, a glass of sparkling wine, cool winds, and a leisurely stroll through a private beach, this surely bodes well for a fantastic New Year. Think about it. A ROYALTY feeling to drift into to admire this Vintage fare! A personal favorite, this one is a must visit! Have you ever celebrated a Vintage New Year Party? No… then here is your chance. 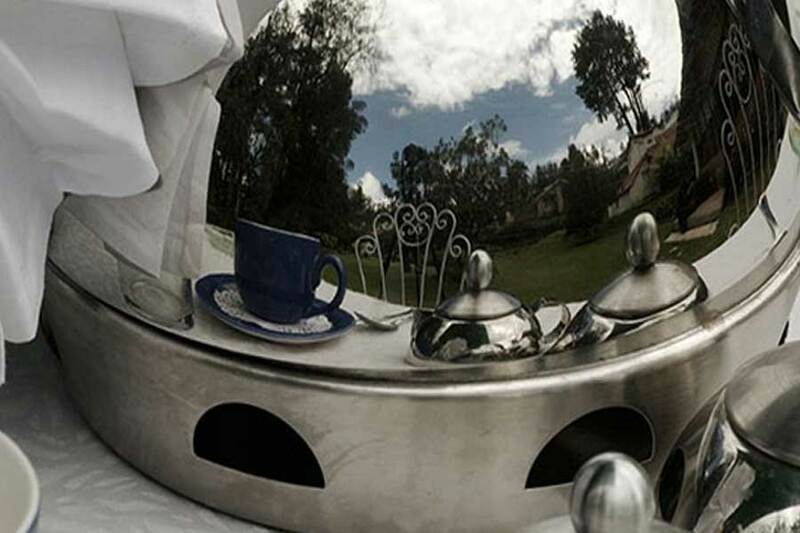 All you need to do is to head over to this locale in Coonoor and the rest would fall into place. Right from wrought iron tables to stiff cream napkins, from perfectly manicured lawns to a hundred-year-old Colonial Bungalow, everything about this Colonial Retreat is artfully vintage. A quiet haven of the cultured past, here you can clink some wine, munch on hors d’oeuvres and wonder aloud about the memorabilia that is displayed there. The sun-kissed gardens and the surreal beauty of the plantations will set the tone for a fabulous New Year. Choose this place if your mood is one of CONTENTMENT, a quiet place to spend time surrounded by loved ones! Want to avoid noisy New Year Parties this year? 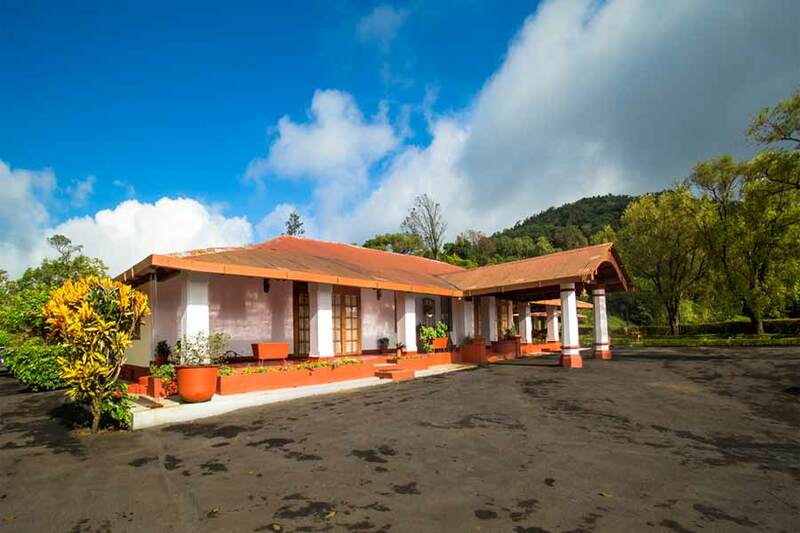 If you are looking for a quiet place to retire, ruminate and celebrate the coming year, this picturesque Plantation Bungalow at Pandalur – Devala in Tamil Nadu will be an apt choice. 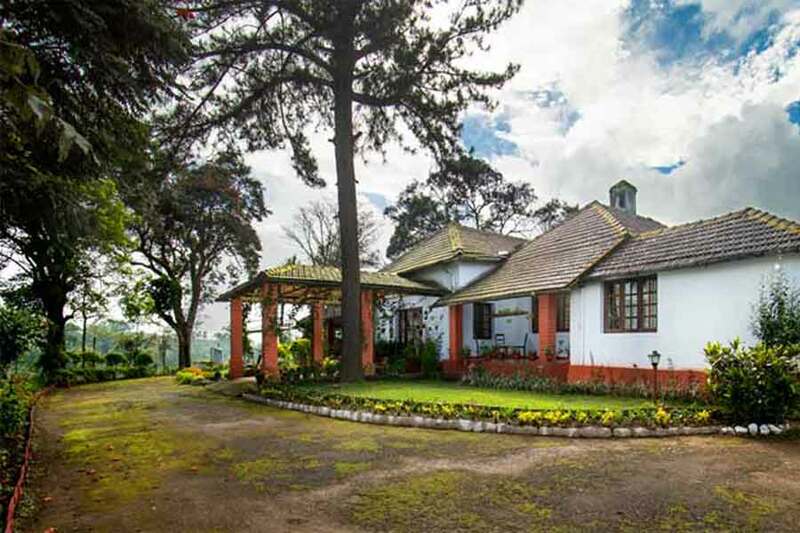 This British bungalow was built in early 1918 amidst lush coffee and tea estate and is on the Gudalur – Wayanad highway. 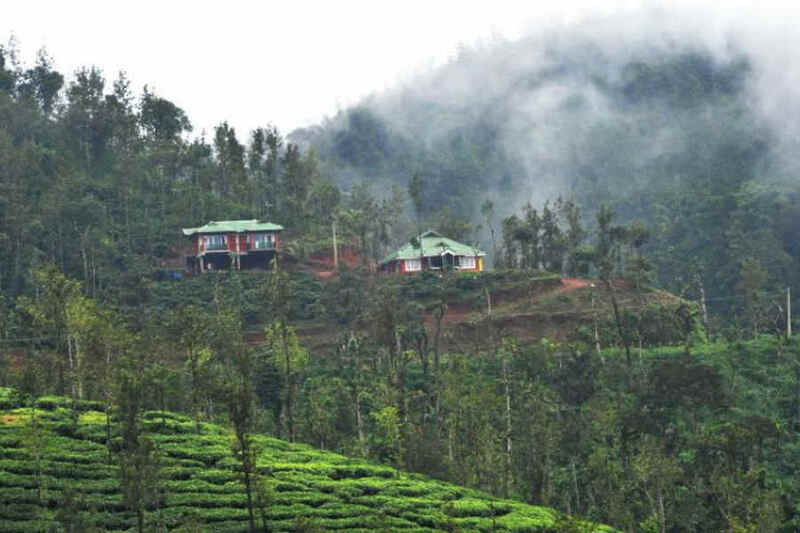 The quaint bungalow offers the best of British hospitality and when combined with the misty mountains and the invigorating tea plantations, makes this a perfect destination for those who yearn for a quiet New Year. Maybe getting into an UNCONVENTIONAL mood might set your spirit’s high this New Year’s Eve. Try out! If you wish to have a closed group New Year’s eve along with few friends or family, then go ahead and book this Bohemian House in Coonoor. The relaxed ambiance overlooking the beautiful well-manicured lawns and the majestic Droog Fort make for great conversation starters. Charming and comfortable, the in-house restaurant staff goes out of their way to whip up delectable fare that you would appreciate in the years to come. A perfect place for those who love to spend their time with their family especially during New Year! One can almost imagine thinking up our New Year resolution and have a hellaciously great time around warming around the bonfire. If you are in an OLD FASHIONED mood to celebrate the New year, pack your bags & zip here! 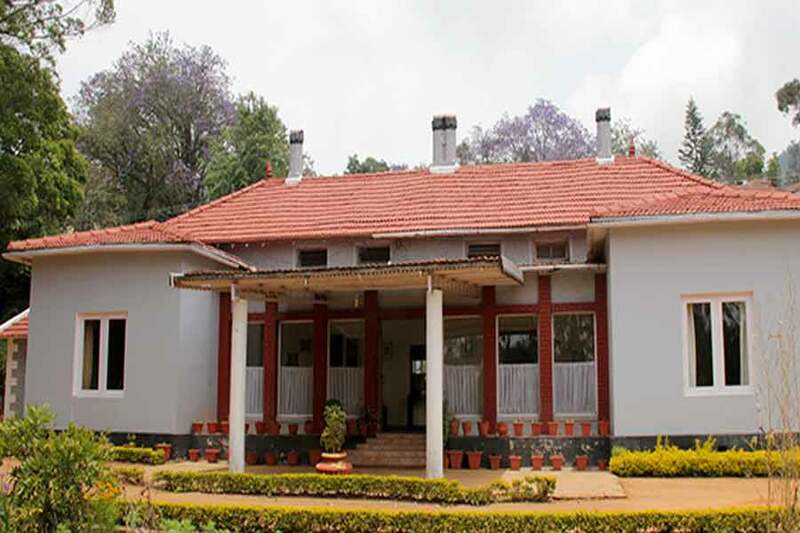 If solitude is what you seek then this Heritage Resort in Ooty is the right place to arrive at. Classically designed this bungalow was once the royal residence of Neelambur Kings, which has now been converted into a heritage resort. Quaint and lovely, the bungalow sits amidst a 99-acre plantation farm providing a quiet vista for those who seek it. The in-house restaurant serves a delicious fare sourced from locally grown organic vegetables and fruits and the sheer variety of the fare will keep you rooted in the estate. One can almost imagine a quiet New Year’s Eve spent here with your partner reminiscing through the follies of the year gone even as you warm yourself at the bonfire. ONLY an IDEALIST or ROMANTIC mood will get you here. Read further to know why! Finally, here is some antidote for your Victorian fix. At this prudish Victorian House, you can travel back in time and usher in the New Year in style like a true Lord or a Lady (no less). This charming colonial bungalow is a cozy retreat from the big bad world and a perfect haven for those who want a glass of wine, a fireplace, a lazy couch and a book of poems by Keats or Byron to welcome the New Year. Built amidst flowering trees and pristine green lawns this Colonial house built in 1855 has lovingly preserved a bygone era where everything was larger than life. This place is hands down for brave hearts as it literally cuts you off from party animals. ADVENTUROUS, that is! It’s been a hectic year and all that you want to do is to relax your way through the New Year. Sounds familiar? Then you need to head over to this place in Karnataka. ‘Kadamane’ literally means ‘a house in the forest’ and that’s where you will find this Forest Bungalow. This beautiful thousand-acre estate was once the property of Earl of Warwick that he intended to use as hunting grounds. The charming bungalow has quaint cottages and suites and its antique ambiance takes you on a time-traveling journey to the past where things were much simpler and life less complicated. The tranquility that you would experience here is unlike anything else in the world. A simple cuisine of mild spices and wine, a tea trail to explore and an invigorating night drive through the plantation and a serene misty hill waiting for you to shed that stress… a quiet New Year for those who crave it and a perfect getaway to practice the art of ‘doing nothing’. A PLEASANT mood gets you here! This place will ensure you are restful & peppy to start the New Year morning. Tired of diesel fumes and pollution in the city? Want to gain a measure of peace before you step into a New year? Then pack your bags and head towards Kalasa, a holy temple-town, and Taluk located in Chikkamagaluru district in Karnataka. 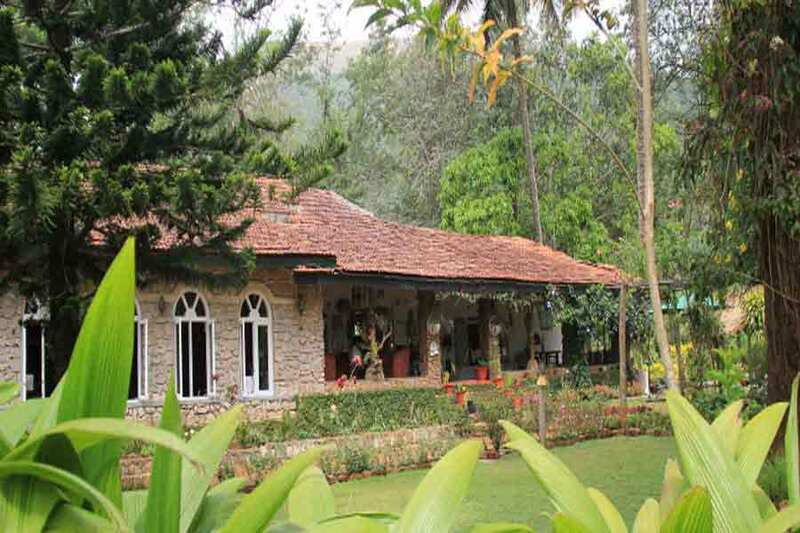 A Cozy Homestay built amidst a verdant green landscape is enchanting as it is set in the backdrop of the Western Ghats. 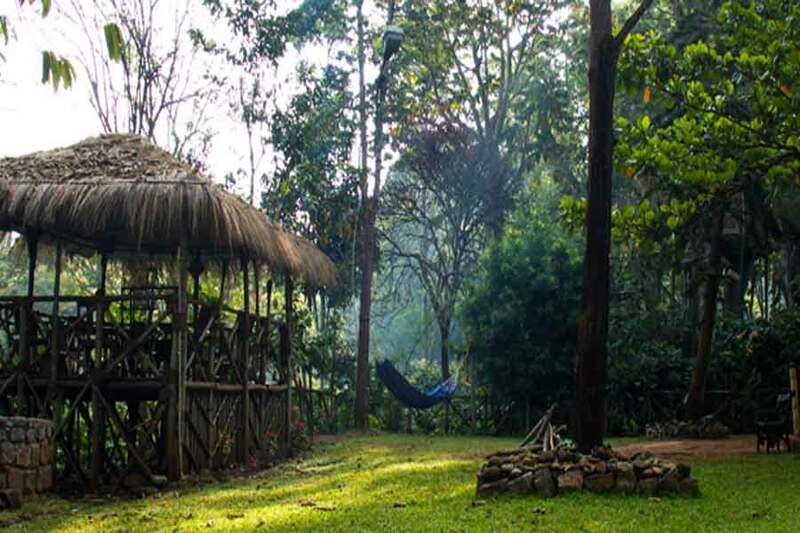 This setting makes the Homestay an ideal retreat for nature lovers. The cool weather of the place also ensures that the guests’ stay here is extremely pleasant at all times. A quiet place to soak in your stress and wake up rejuvenated the next morning as you step into a New Year! An idyllic setting for an IDLE mood. 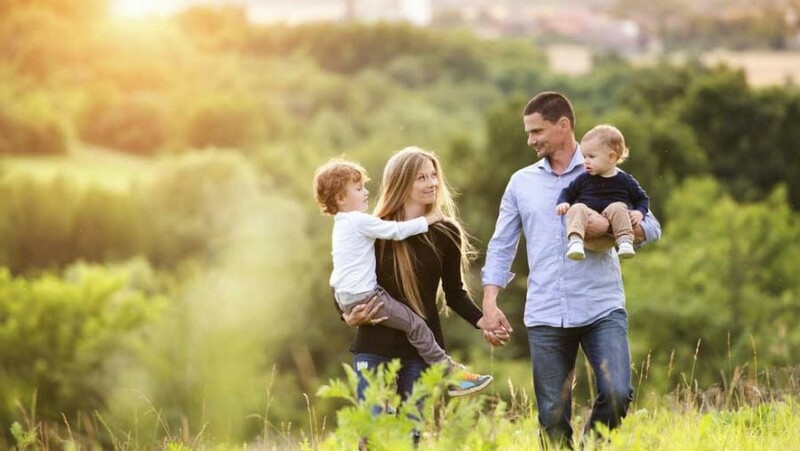 Just be with Nature here & the rest is taken care of by the hospitality staff! If you are a nature lover then, wouldn’t it make more sense to usher in the New Year in the wilds? Yes… This Nature Retreat is literally in the Wilds of Masinagudi, a haven in the forest where the unbridled beauty of nature is wide open for you to marvel. Treks through the jungle, an elephant safari and the tranquil serenity of nature is all for you to hold on to into the New Year! If feeling HOMESICK, try this quaint bungalow. Hop over to this lovely home! Bored with the same old New Year Parties and wild partying! Do something different this year. 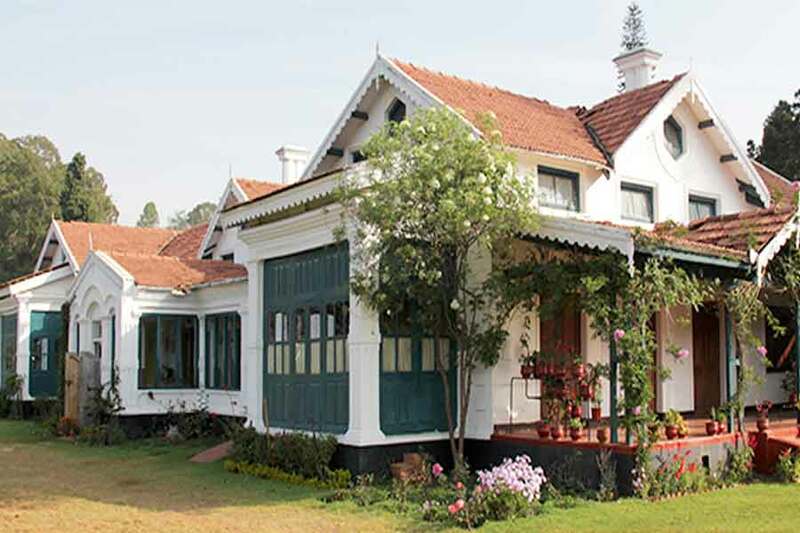 Book yourself for a serene holiday at this Quaint Bungalow in Coonoor and ring in the New Year! The house is a century-old colonial bungalow with high ceilings, surrounded by a beautiful garden. The lush breathtaking views of this cottage and the simple homemade food prepared by the in-house cook will make this New Year a glorious one for sure. These holiday suggestions were compiled for those requests from people who were bored with the same old New Year parties and the same old faces… to those who are willing to try something new for a change. I hope you find it useful! Pick your choice among these Places To Holiday This New Year for your ultimate holiday comfort and style but don’t forget to match it up with your New Year holiday mood.